For the past few years, people purchasing their coffee and other imported products may perhaps have noticed the phrase "fair trade" on the packaging. This is not a trendy catchphrase only slapped on various boxes or bags to make them seem healthier or to make them sell faster. Fair trade products can only claim that moniker if they are in fact made with ethically sourced ingredients. One of the most prized commodities in our world that can have the free trade trademark is coffee. Since millions of pounds of the precious bean are shipped across the globe each year, it's important that it's procured in a humane and safe manner. Fair trade is important for all products, whether cocoa, timber or gold. 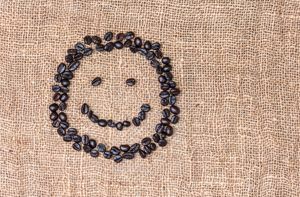 Coffee beans play a vital role in the world of commerce and their procurement should be handled with care. The only way that we can create sustainable supply chains is by treating every single person involved with respect. This can take a few forms, such as paying a livable wage and providing safe work environments, but the main thing is to offer work with real results on the other side. According to The Seattle Times, it should be the duty of the coffee industry to take care of workers in developing nations. Coffee procurement generates money for those at the top, and those funds should make it down to the bottom as well. The source indicated that poverty among growers and farmers is especially high, and the coffee industry will only survive if they can make a living from producing the commodity. The Fair Trade certification, which gives farmers a stable minimum price for their product and directly connects them with importers, has been getting fixed up to make sure workers are not exploited by any means. Humanosphere asserted that the trade group has been making a lot of progress to keep growers and farmers happy, though there are still more issues to work through so all coffee can be sourced ethically. While many people have seen the "fair trade" phrase bandied about, many don't realize how truly important it is. Bringing attention to the plight of the coffee farmer is imperative, and global enterprises are doing their part to ensure safety for all involved. The international coffee chain Starbucks has certainly done its part to make people aware of fair trade coffee and what it means. Treehugger reported that the caffeine conglomerate now serves 99 percent ethically sourced coffee. This is great news, as Starbucks is the largest coffee retailer in the world. Joining forces with conservation groups, Starbucks has made sure that the practices in its supply chain are ethical for the environment and humane for the growers. The source noted that as a result of Starbucks' commitment to fair trade hundreds of thousands of workers on coffee farms make more than minimum wage and are allowed to have benefits such as sick days and schooling for young children. These efforts have not gone unnoticed, and earned the praise of humanitarian groups around the world. Starbucks wants to have 100 percent ethically sourced coffee eventually and also protect the environment from other detriments. This is a company that cares about the issues and is actually doing something about it. Consumers can sip their lattes with the assurance that the enterprise took great pains to ensure the safety of the individual who harvested the beans. Now, isn't the something to toast to?